Seaports on the east, west and gulf coasts are getting ready for the opening of the expanded Panama Canal, slated to happen this summer after years of delays. The promise of the expanded canal is that much larger ships will be delivering a greater variety and more tonnage of freight faster than ever before, transiting from the Pacific coast to destinations on the Atlantic coast. The existing Panama Canal locks allow the passage of vessels that can carry up to 5,000 twenty foot equivalent units (TEU) containers – one TEU unit is equivalent to a standard shipping container, which is 20 feet long and 8 feet tall. After the expansion, the new Panamax vessels, 1,200 feet long and 160 feet tall requiring nearly 50 feet of draught to safely travel, will be able to transit through the canal with up to 14,000 TEUs. One port on the west coast that is working to adjust to those challenges is the Port of Los Angeles. Burlington Northern Santa Fe (BNSF) Railways wants to build a rail yard along the western border of Long Beach near the port of Los Angeles and unload ships more directly to rail. Right now, they have to truck containers to the Hobart Railyard in East Los Angeles, four miles southeast of downtown Los Angeles, which is the largest intermodal facility in the country at full capacity handling 1.5 million containers annually. “Transporting containers there adds to the regional air pollution and clogs up the freeway with truck traffic,” O’Connell says. Infrastructure projects are also being developed at the Port of Stockton, California’s third largest port and a major inland deep water port located on the San Joaquin River. An $8 million project to create an underpass for the BNSF railroad was just completed there. They are at the early stages of another project, the Navy Bridge project, which is an adjustment to the bridge connecting their east and west terminals that currently has restricted height and weight capacity. Their last project is the Navy Drive widening project. “Those three – the underpass, the bridge and the widening project – are all tied together,” Escobar says. He says that the Army Corps of Engineers is also thinking of dredging the port to 40 feet from the current mean depth of 35 feet, at a cost of $140 million. Over on the east coast, the Port of Baltimore is one of just three ports (Norfolk and Miami are the other two) that is ready now to handle the supersized ships that will be coming through the expanded canal. Richard Scher, communications director for the Maryland Port Administration (MPA), says that the MPA executed a public private partnership agreement with Ports America Chesapeake, LLC (PAC) five years ago that allows PAC to run the day to day operations of the Seagirt Marine terminal, their primary container terminal and one of six public marine terminals. PAC will invest $500 million in the project and provide $140 million to the state fund for highway, bridge and tunnel projects near the port. PAC will pay for and install four super post Panamax cranes that would join the seven Panamax cranes already in place there. Other preparations underway at the port include adjusting clearance in the 121-year-old Howard Street freight tunnel to handle double stacked shipments. “We have applied for federal funds for that project, which we hope will go forward because that is the final piece of the puzzle for being a top level container port today,” he says. The Acadiana region of southwest Louisiana is home to five ports: Port of Iberia, Port of Krotz Springs, Port of Vermilion, Twin Parish Port, and Mermentau River Harbor and Terminal District. Krotz Springs, located inland on the Atchafalaya River, handles strictly barge traffic. They are located about 70 miles north of the Morgan City Port and close to Baton Rouge. Six docks are being operated at Krotz Springs, where more than 200 employees work handling 3.1 million tons of cargo annually. “We are a niche port,” Gary Soileau, executive director for Krotz Springs Port, says. One of the big projects that they are working on now, slated to break ground next spring, is the Hazelwood Energy Hub (HEH) project. HEH is a master planned regional energy hub company. HEH is going to build a state-of-the-art oil storage and blending project at the port, making a parish-wide investment of $400 million, with a $145 million investment at the port to put in a dock and some above-ground storage. He says they will end up creating 123 jobs. “We are still in the permitting process but everything is moving ahead and we haven’t had any big problems,” he says. All five of the ports are looking to increase business substantially with the opening of the canal. But there is more than just an increase in domestic freight. 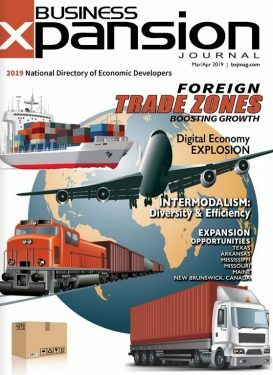 The president of the Iberia Industrial Development Foundation, Mike Tarantino, says that all the gulf coast ports are going to be key in developing trade to South America and beyond. He says that the focus at the Port of Iberia is the deepening of the channel there that provides access to the Gulf. The Southwest Louisiana Economic Development Alliance (SWLA), representing five parishes (or counties), has announced more than $97 billion in projects, with about $40 billion of that now underway, according to George Swift, SWLA president and CEO. Most of those projects are dependent on the Calcasieu shipping channel, maintained by the Port of Lake Charles, which is the area’s deep water port about 30 miles inland from the Gulf of Mexico. Many of the projects are for the construction of liquefied natural gas (LNG) facilities for huge energy companies such as Cheniere Energy, now working on an $18 billion project; and Sasol, an energy and chemicals company, building a $9 billion ethane cracker unit. The Port of Lake Charles is generally in the top 11th or 12th busiest port in the country, exporting LNG from Louisiana to the rest of the world. “We have had three LNG terminals there for many years, and they were built to import natural gas,” Swift says. “The world changed, the price of natural gas changed, and the discovery of Louisiana shale and the fracking process means we can now export gas and make it profitable,” he says. “We are having an economic boom here that is going to be phenomenal,” Swift says. Approximately 25,000 construction workers are expected to come in and build the LNG facilities with about 20,000 terminal workers to follow. “Our area is getting ready to grow like never before,” Swift says.